Over the years, Bangladesh has shown strong performance in the economy and became one of the most optimistic markets in Asia. Considering the fact, a few days ago, we asked a number of industry key players in Bangladesh to share their thoughts about the marketing trends they are seeing that will shape the country this year and beyond. Sharful Alam, Chief Operating Officer at Aamra Networks Limited. Before we look into the future we have to swallow the fact that we the ‘traditional marketing gurus’ are on the verge of losing the battle. It is high time to wake up and smell the coffee pulling up our socks since technology has impacted everything including the marketing industry of Bangladesh. The big names of advertising agencies today are not as demanding as before, whereas the digital marketing companies who just have ventured a couple of years ago have superseded the experienced big boys. Shifting media’s focus from TV, newspaper, and outdoors, the new kids on the blocks are Facebook, YouTube, and smartphones. We don’t need marketers who know how to glorify the facts; we need people who can present the value of a product or idea playing their cards right. The modern-day Aladdin can verify anything in a minute and therefore there is no point of elevating anything unnecessarily. We don’t need salesmen who are persuasive and convincing; we need people who are good listeners and can articulate the pros and cons of products. In the coming days, we will see more intuitive Advertisement Boards replacing their statics. The exaggerated advertisements will lose its credibility and more authenticity will be visible in the contents. At the same time, the use of big data and artificial intelligence will become very important inputs in designing marketing plans. More ‘call for action’ campaigns shall emerge as a span of attention for the consumers. Dewan Sajid Afzal, Director at BMW Bangladesh. Everything has become digital these days. 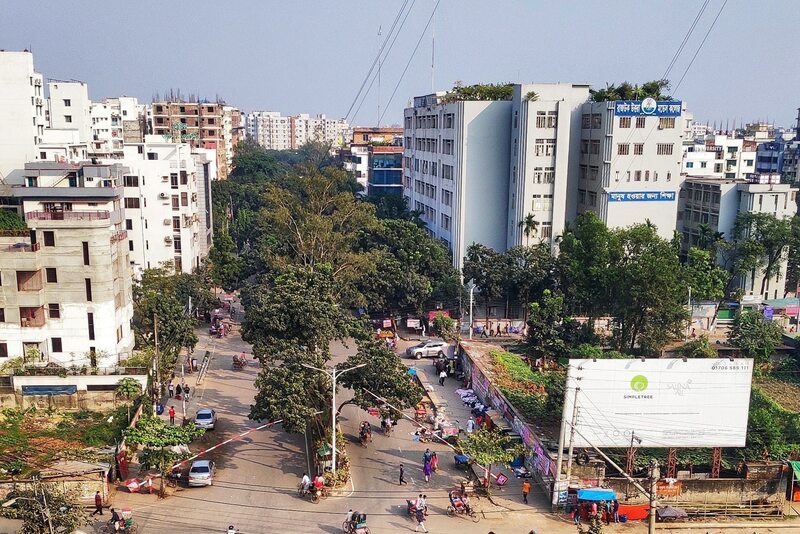 Dhaka, being the second city with most Facebook users amongst the global cities, tells you a story, and the story is about gaining digital traction to woo customers. Also, approximately 79% of all internet usage in Bangladesh is via mobile. So 2019 and beyond is all about streamlining online, social and mobile marketing. Integrating the three platforms will allow you to substantially increase your visibility and efficiency. This practice will also see the quality of content marketing reaching a new peak. With everyone focusing on the digital platform, and with influencers having a very short attention span, content will become more interesting. I see customers becoming the face of the brands as well. Thanks to YouTube, Snapchat and even Instagram, everyone is a celebrity these days. People also started accepting someone from their own circle to be an influencer and a brand ambassador. Companies have picked this up. You will see a lot more ‘human’ faces in advertisements and campaigns as they carry a more substantial understanding of your customers’ own mindset. Shahriar Shahid, Co-Founder & CEO of Imagine Radio. The first sprint of evolution in the marketing industry of Bangladesh is nearly at its end. Many of us are already talking about content ROI, marketing automation or programmatic advertising. We now have a range of marketing teams across brands and companies — some enjoying a healthy engagement with their contents and campaigns, some still working to find their footing in this evolving landscape. Build strong competence in emerging tools: Deep analytics, chatbots, artificial intelligence, big data, AR/VR and more. Build a content ecosystem: Foster trust and conversation with authentic storytelling and smart channels. Build brands again: Bring data-insights and brave storytelling to cut across the channels, breakthrough clutters and shift behaviours. Agnė Svetnickaitė, Head of Asia at Eskimi DSP. When it comes to digital marketing, I am quite satisfied to see that Bangladesh is one of the fastest growing markets in the region. A lot of innovations that have taken place in Eskimi DSP in recent years were built on the basis of Bangladeshi client’s requests – weather based and real-time score banners, multi-SIM insights, and mobile data usage targeting are just a few examples. The tendency I see is that instead of focusing on shiny banners to attract consumers, brands are starting to pay more attention to the data and insights. Audience segmentation, in-depth after campaign analytics, online researches and customised integrations are the features that bring more sense to digital campaigns. They also help to design future online activities. Bangladesh is learning this pretty fast and well. So, we are more than happy to support clients on such a journey. Arifur Rahman, Head of Digital Media at Starcom. Internet penetration and the digital revolution are creating an impact on every industry. The marketing industry is no different from this revolution. Even in Bangladesh, influencing marketers are adopting the changes by analysing the efficiency and effectiveness of this new trend. The modern consumer’s behaviour has changed and the concept of the Unique Selling Proposition (USP) is no longer effective in the digital marketing era. Having said that, the new theory now in practice is Unique Buying State (UBS). That means targeting the right moment during the consumer’s decision-making process that helps marketers to achieve the objective. Without any doubt, the next for the marketing industry in Bangladesh is digital marketing! From identifying the right target market to positioning the brand, in every stage digital marketing is making the business more capable, productive and successful. When digital marketing was putting its baby steps in the last few years, the industry experienced a lot. Now the marketers are aware of the importance of digital marketing. To be more precise, use of big data and programmatic advertising or marketing will change the shape of the industry in the near future; because with the programmatic approach, it is possible to reach the right target audience with the right communication. Big data help marketers to analyse the audience behaviour over various digital platforms and help to create content. It also offers even customizes products for a specific target market. Platform-wise consumption of content is different. ‘Big data’ know who wants what on which platforms and the marketers are acting according to that. Digital channels have become prominent for marketing recently in Bangladesh. A great number of brands are now investing in digital platforms starting from Facebook, local ad networks to YouTube and other platforms. To the users, digital marketing offers the freedom to choose, which content they want to engage themselves with, from an abundance of content, unlike the TV world. Thereby, the sources of consumers’ entertainment have fundamentally changed. While this transformation is propounding the liberty of where to spend their time, digitization has been useful for especially the millennial and prompt generation. Even a few years back, digital marketing mostly meant putting up banner ads, pop-ups, and so on. In this era of ad-blocking technology, it’s quite a challenge to get that amount of time to target proper communication with the audience effectively. This is why interactive content is important. Definitely getting the attention is a crucial factor, but ensuring that the attention turns out to be fruitful can only be done by engaging with the target audience, through interactive content, especially in a place where the majority of the marketers feel that generating reach by making a campaign viral is only the goal. This causes ineffective targeting as well as effective. Modern approaches by marketers nowadays are now not only adding value but pushing interaction through content. It is more user-focused, and engaging. Interactive content is today’s real challenge, which marketers across all platforms are trying to demonstrate. If I have to add how I see the landscape moving towards, I would say that there’s still a large audience who needs to be targeted through traditional channels; such as print ads, television commercials, and so on. However, it is a challenge to pilfer time from a younger audience which accounts for the majority of the population, which is why interactive content is definitely the future. Monsurul Aziz, Head of Brand Marketing at Nagad. At any given point, if I was asked to close my eyes and visualize Bangladesh, more than depicting a picture of nature and greenery that the rural side embodies, I would see a chaotic place somewhere in Dhaka, perhaps because I grew up here. A place filled with construction work, traffic jam, political rallies, hustle, bustle etc. Ideally, we all are trying to find peace amidst this chaos and clutter, and to predict the future of marketing in this scenario is scary as well as exciting. There are several challenges that await us in the coming years. The pace of technological change is relentless. While some brands are only just getting to grips with digital content and social media marketing, fast-paced innovation is forcing businesses to contemplate newer challenges. The whole idea of transforming marketing elements into a core message that would interlink the environment to the individual will be the most challenging event for us as a country. The Internet has made the world closer to everyone. People don’t seek mediums to be relevant to the other parts of the world, people just click the right button now. And as a marketer, our job would be becoming that ‘one’ right click for the people of this country. Hence, the standard for everyone is higher than ever, and many times, meeting these standards can be a frustrating process for the marketers. Furthermore, the way we react to trends has also dramatically changed lately. What used to take a lot of effort to make a trend can now be done with a song, an event, a dialogue and in my case with memes. There are several other upcoming changes that we need to be aware of like data security, augmented reality, artificial intelligence, instantaneous digitalization etc. Creativity, not conformity, is the way to go for in the future. The future will unfold itself with more transformations than we can predict but for preparing ourselves to be able to fight the competitors, in the case of marketing is the entire world now, is imperative. Clichéd as it may now be, the fact remains. It’s 2019 and sincere relatability is what the world will go on about. Your relativity to your campaign, context, and most importantly to consumer’s story so that they take up the duty on behalf of you to spread your message, is what I believe the future is all about. So, let’s start spreading the nuances of untold experiences, embrace them for your consumers, build it with them and last but definitely not the least, deliver through them. Rahath Ahmed, Chief Marketing Officer at Paperfly Ltd.
Online is surely opening up new opportunities in Bangladesh. Uber and A‌i‌r‌b‌n‌b‌ are great examples of that. But the biggest one is the emergence of the e-commerce industry, which is, arguably, expected to become a USD 3.4 trillion industry worldwide by 2019; with 58% of the internet users forecasted to be buying online by 2019, and also these online purchases will account for 12.8% of all consumer spending by this year. What makes this industry even more exciting is the number it can generate through the huge target base it serves. Anyone with an internet device can have access to e-commerce and can experience the service. Bangladesh has started to take a stride in e-commerce mainly by the consumer behaviour driven by choice, all-inclusive prices and hassle-free shopping, shipping and convenience. The enabling factors such as market size/population, growing internet penetration and consistent GDP growth over the years have made Bangladesh one lucrative market for e-commerce. Alibaba entering the Bangladesh market, widespread the rumour of Amazon to start its operation in 2020, all these factors indicate it is just about the time this is going to be the industry of future. We foresee massive employment opportunity, both direct and indirect, with the rise of the e-commerce, in not only tradition sales, marketing and customer service, but also in the sectors like IT, AI, logistics etc. One relevant and direct impact that we are about to observe is the growth of the modern tech logistics companies and the massive employment opportunity. The entire value chain of e-commerce logistics will require massive workforce mainly as the delivery employees, and also for pick-up, warehousing, fulfilment, and customer care. Interestingly all these services will create local job opportunities, as the logistics companies have to create their set-up locally to bring more efficiency. In the next 5 years, there will be at least 100,000 job opportunities in this sector and will earn more than the average per capita income here. This may sound too optimistic but the question is why not? In India, e-commerce logistics are currently employing about half a million delivery persons and the number will grow to more than a million by next year’s end. In China, Cainiao, the leading e-commerce logistics already employs 2 million employees. Another one in China is Dianwoda which has built a network of more than 3 million registered delivery workers. The business case is pretty simple here, to drive more e-commerce sales and revenue, one will require an adequate number of employees to deliver and close the sales, and there is a direct correlation.